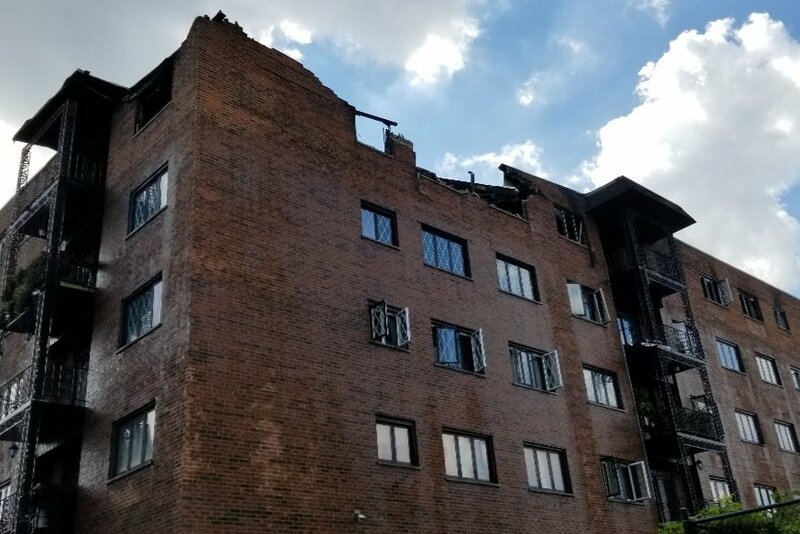 On September 16th, one of the buildings at The Landings community, building 9396, burned down. The fire started in one of the units on the 6th floor and spread to the rest of the building. Some units are completely burned, most are under water, but every single resident is now homeless and lost every single possession they owned. We just received word that there's at least one casualty. The units, the possessions and the cars are destroyed, and the latest news is the entire building may be unsafe and may need to be torn down. Almost 100 people are now, and will most likely be homeless for the foreseeable future. Please, anything you can do to help these families out will be greatly appreciated. The estimate we provide on the main page is the very minimum guess, and the real estimate will most likely be in the hundreds of thousands, if not more. Please, whatever you can do to help, will be greatly appreciated by all. Thank you all very much from the bottom of our hearts!